Faced with an economic war led by the United States and its allied local opposition groups, Maduro has said that he will continue to uphold the Bolivar as Venezuela’s currency and strengthen the international market for Venezuela’s cryptocurrency, the Petro. 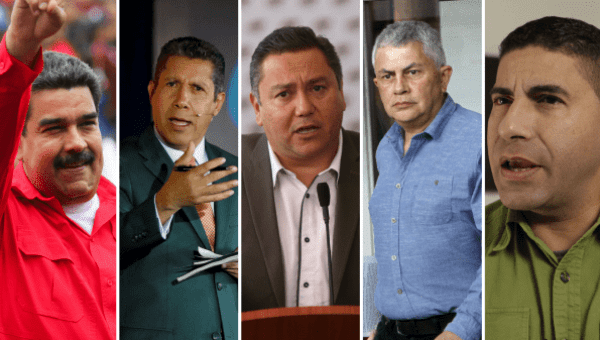 April 25 (teleSUR) Five candidates will compete for Venezuela’s May 20 elections, which will also see the selection of Municipal Council members and Legislative Councils. Campaigning opened on April 22 and will continue through May 17, according to the National Electoral Council (CNE). Let’s look at who’s who. The current, incumbent candidate for the Broad Front for the Homeland, Nicolas Maduro, has pledged to push forward with an “economic revolution” to combat foreign financial assault through sanctions and an economic war. The candidate, promising to continue the legacy of the Bolivarian Revolution, has said he will prioritize the expansion of public education and construct five million new homes through the housing mission. Improving access to public, quality healthcare has also been emphasized as a priority for a possible new term. The Progressive Advance alliance candidate, Henri Falcón, has said that he would convert the Venezuelan economy to the U.S. dollar as a way of combating the country’s economic crisis, a move which critics say would subordinate the economy and politics to the United States. The opposition candidate has proposed decentralizing certain public services, and has said he would “seek foreign help” to lift Venezuela out of its crisis. In addition, Falcón’s campaign is focusing on the need to diversify Venezuela’s historically oil-based economy and invest in other potential industries. Falcón caused controversy among the fractured opposition by simply running for office. Several extreme groups of the opposition have refused to participate in the elections, claiming they are “illegitimate” in spite of international observation and the providing of guarantees. Javier Bertucci, the candidate for Hope for Change, has said he would “modernize” Venezuela’s healthcare system and “restructure” the education system. Like Falcón, Bertucci has said he would eliminate exchange controls and attempt to increase foreign investment. Bertucci has said that he would not eliminate the social programs initiated by the Bolivarian Revolution, but would perhaps restructure them. A key part of his economic strategy would attempt to transform Venezuela into an international tourist destination. The main objective of the independent candidate, Luis Alejandro Ratti, is to “transform” the organs of Public Power, which would in effect mean calling a new National Constituent Assembly. Alejandro has said that “meritocracy” is a fundamental pillar of society, and that business should have a place in government. Unlike several other candidates, such as Falcón, he does not agree that the country’s currency should be converted to the dollar, but has said that exchange controls should be lifted. A key part of his platform is reopening relations with the United States, and encouraging foreign investment in the country. The candidate of the Popular Patriotic Union 89 (UPP89), Reinaldo Quijada, is an electronic engineer who formerly had supported the former President Hugo Chavez, but later distanced himself from him. He has said he would create a sixth Public Power, or government branch to manage currency and economic affairs, and would essentially function as a central bank. His plan is called “The Way to Exit the Crisis,” and would give “autonomy” to each government branch, and would call for meetings between government and private sector representatives to formulate an economic strategy.